Enjoy the space, peace and privacy, undisturbed? 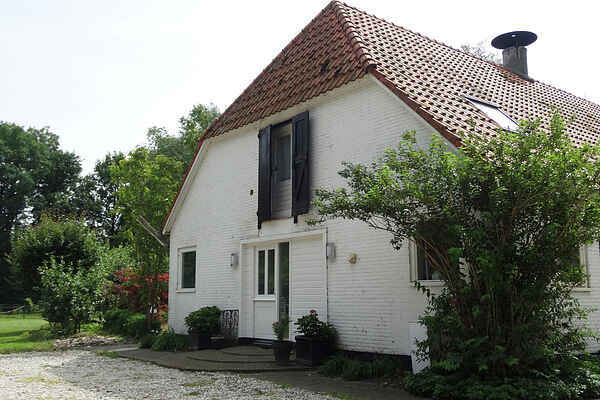 It's possible in this rural setting amid the nature of the Noordoostpolder in Flevoland. The holiday home is less than 6 kilometres from the water sports village of Lemmer! This converted farm is tucked away in the green surrounded by a garden, a driveway and a large terrace. From your lazy chair, you can enjoy the grazing horses in the paddock on the same grounds. The rural atmosphere of the outside is dragged into the interior, which stands out in rugged materials and the authentic beams throughout the house. A lovely home for a family or two travelling couples who love nature, water and animals! In Lemmer, there is a lot to do. This old fishing village rightfully deserves the name "Port of Friesland." The water sporters anchor in the middle of the village It's nice to stroll past the original shops and historic buildings. Relax on the terrace on the water watching the boats pass by. The waterway through Lemmer is the busy connection between IJsselmeer and the Frisian lakes.